All current Lake Land College students who are registered for Fall 2019 classes by May 10 will be entered into a drawing to receive a full tuition waiver (in-district rate) for Fall 2019. Check out our online programs and start your story at Lake Land today! Apply before May 1. New online hybrid option. Online Classes with one evening lab a week on campus or at the Kluthe Center! Local company, North American Lighting, expresses gratitude for their partnership with Lake Land College and what it brings to the community. 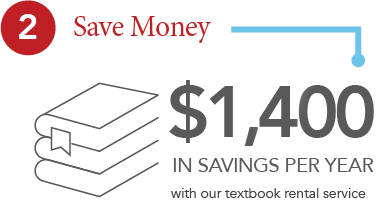 Start planning your summer and fall classes today! Make your child's summer great with fun classes in Effingham, Mattoon and Teutopolis. Camp Invention is a great way to spark your child's interest in innovation. Join us for Lake Land College’s 2019 Commencement ceremony on Friday, May 10, 2019, at 7:30 p.m. in the Field House. Are you caring, nurturing and enjoy helping others? Massage therapists are in high demand and have projected job growth of 20% through 2026. 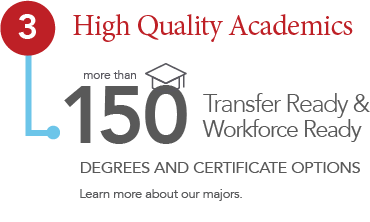 Enroll today to gain hands-on experience and be on your way to a rewarding career. 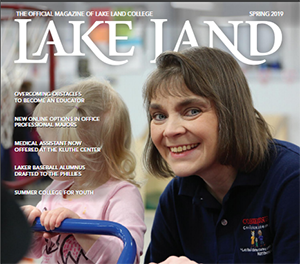 18-month programs are held at the Lake Land College Kluthe Center in Effingham. 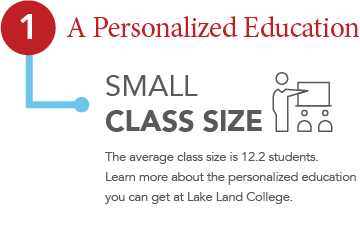 Top 3 Reasons Lake Land College is Right for You! As part of the Thanks Lake Land Campaign, we are asking students, community members and alumni to leave us a recommendation on our Facebook page. At the end of every month, one winner will be drawn from the names of everyone who submits a recommendation. Each winner will receive a gift card to his or her choice of Amazon or the Lake Land College Bookstore.